Find the newest Kilkenny homes for sale located in Northeast Edmonton! This popular community is south of 153 Ave., west of 66 St., north of 144 Ave. and east of 82 St. Construction in Kilkenny began in the 1960s and carried into the early 1970s. You'll find a good selection of bungalows, some nicely renovated houses as well as some townhouses and condos within the neighbourhood. 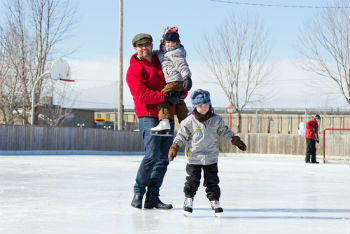 It's one of the best family communities in Edmonton thanks to its five schools and nearby shopping. Learn more Kilkenny homes homes for sale and be sure to browse the listings below! Kilkenny real estate is nicely located close to lots of shopping, including Londonderry Mall, North Town Centre and Northgate Centre. Londonderry Mall is one of Edmonton's major malls with 150 stores and services. It's going through a $130 million renovation that will see Simon's become a new anchor in the fall of 2017. Londonderry is also home to Winners and The Bay. The Costco on 137 Ave is also very close. The Londonderry Athletic Grounds are in Kilkenny and they feature an arena, swimming pool, running track and tennis courts. Over at Kilkenny Park, there's a huge playground along with two outdoor rinks, one of which is paved. You'll also find a spray park in the community - the perfect place to cool off on a hot summer day. As mentioned, Kilkenny real estate is close to no less than five schools. The public facilities include J.A. Fife Elementary School, John Barnett Elementary School, Londonberry Junior High School, and M.E. Lazarte High School. In addition, there is one privately run catholic school, Father Leo Green Catholic Elementary School, which is operated by the Edmonton Catholic School System. The Kilkenny community in Edmonton is not far from Hermitage Off-Leash Park (Hermitage Park North), located along the North Saskatchewan River Valley. The park is a popular picnic spot and you can also bring your rod and do some fishing. If you enjoy hitting the links, Kilkenny is not far from several northeast Edmonton golf courses. Raven Crest Golf & Country Club, The Quarry, as well as Legends Golf & Country Club are all within 25 minutes of the community. The Legends is interesting in that it is home to the Hickory Hacker Golf League, where players must use clubs from pre 1935 that have hickory wood shafts. If you would like to view any Kilkenny homes in Edmonton, please feel free to contact MaxWell Challenge Realty today. Reach our amazing team by phone at 780.990-7777.